Process of taking orders on phone is quite crucial to several firms. It is first time during which a potential customer comes in contact with the brand. Therefore, it becomes imperative for firms to make the process streamlined to ensure maximum satisfaction of their potential customers. 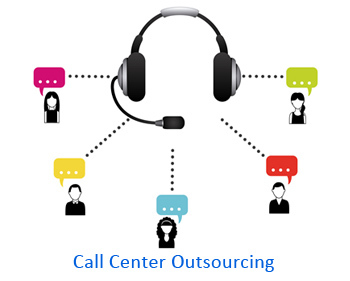 Outsourcing the process to a call center is also a wise decision as it is linked to myriad benefits. 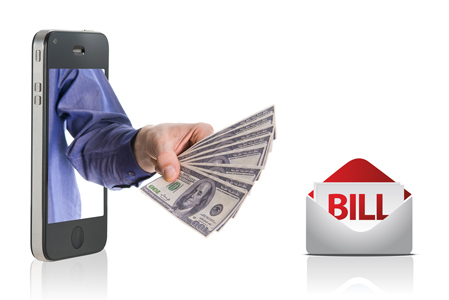 Here are some major benefits linked to outsourcing of order taking and order processing. These two essential portions associated with selling add considerable amount of sales for the company. Whenever a customer calls a representative for placing an order, he/she wishes to purchase a specific product. But the representatives can influence the customers to purchase something of a higher value which is related to original choice of the customer. The order taking agents can also convince the customers to purchase an additional product of somewhat lower value than the original one. This way, companies can increase as much as 25 percent of sales through cross selling and upselling performed by these agents. While placing an order, customer provides information which is essential for proper processing of the order. If the person taking order is not capable of receiving the information properly, it may lead to error in the overall process. If inaccuracies related to receiving of orders arise regularly, these may prove to be devastating for the image of the company. The call center outsourcing vendors offering this service in combination with order processing have hired agents which are well-versed in conversation skills. This ensures that they listen and enter the information of the customer and their orders properly in CRM software or related medium to ensure proper processing of the order at later stages. A customer calling the firm for placing the order expects the representatives on other side to communicate nicely and clearly. A poor response from other may result in disappointed customer. As a result, he/she will avoid doing business with the brand in future. On the other hand, when a proficient agent from a call center firm receives a call, there are high chances that caller will be more satisfied. Several times, calls are received by the agents just to confirm the specifications, prices or conditions associated with the product/service. In these scenarios, a call center agent with good convincing skills can influence these callers to make a purchase from the company. As a result, overall sales of the firms can be boosted through this process. By outsourcing processes like order management, the companies are able to fully dedicate themselves in improving the quality of their core services and products. This ensures that companies reach their goals faster as compared to the scenario where the process is in-house. No company will prefer missing an order due to unavailability of order taking agents. It is possible for company to be always available by hiring third party vendors as most of these firms operate across the whole year on 24×7 basis. Being available to customers without any off will also give an impression to customers that your brand operates on large scale. It is possibility that your target customers use the languages other than English for regular communication. This may be a challenge for companies having in-house order receiving process with agents proficient only in one language. But renowned call center firms provide services in more than one language which ensures that multiple languages of target customers do not become a barrier to success. Usually establishing order taking process in-house comes with several expenditures. Spending linked to agent recruitm ent along with their training and heavy salaries can cost a fortune. Other than this, costs associated with infrastructure, hardware and software can also give nightmare to the firms. Company can prevent from heavy spending by taking support of call center outsourcing firm that offers order management and other related processes. It is a known fact that waiting on phone makes the customers frustrated and deteriorates their experience of connecting with the company. Company can minimize the waiting time of the customers by contracting out the process of taking orders to a reputed firm. The outsourcing firms focus on reducing hold time through implementation of stringent measures and appropriate technology. Every major decision in an organization has ability to make or break the business due to various factors linked to it. Outsourcing of call center processes like order management is one such step that can definitely prove to be fruitful for firms.